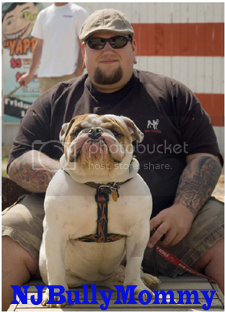 Congratulations to @NJBullyMommy for winning the July 2011 Photo of the Month Contest! 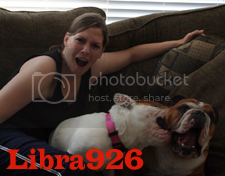 Congratulations to @Libra926 for being Runner-Up in the July 2011 Photo of the Month Contest! I loved all the pictures and I always do it is SOO hard to vote, but I must say those were on the top of my list! Congrats to both of you!!! great winners loved them all and especially these 2. Loved all the pictures..as usual..but like @KMARINO..these were at the top for me too! Congrats to both of you, great pics. Those are awesome pics and worthy winners! Thank you to everyone that participates, I love looking at the photos! Aw congrats! I voted for both of you guys, love the pics! Awwww thank you!!!! @Libra926....I loved your picture and expression!!! Congrats! All the pictures were fantastic, but agree that those two were definitely among my favorites!! I slacked this month and totally forgot to vote. But....my favorite was @NJBullyMommy. I'm so glad that your photo won. Total slacker here.